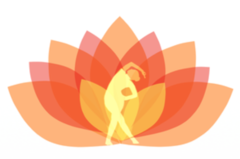 Corte Madera Yosic – It's "Yosic" (Yoga & Music) time for babies, toddlers & preschoolers! It's "Yosic" (Yoga & Music) time for babies, toddlers & preschoolers! Kids Yoga is a playful way to help children to develop their sensory regulation skills and strengthen their muscles. During the class we will practice Yoga poses along with music. Fun games and Yoga stories are incorporated. Balancing boards are provided to help children improve their balance while they are having fun. Coach Eleandra is originally from Brazil and her "Yosic" class at Chant Yoga Studio is a favorite among kids and parents in the Castro neighborhood in San Francisco-CA. She already teaches her Yosic class at daycares and preschools in Corte Corte Madera and Mill Valey. Drop-in class is 16.00, siblings gets 15% off ,the classes are also available to purchase in package of 04 or 08 classes and save 10%. Make your online reservation today! Bring your joyful little one and let's wiggle around.